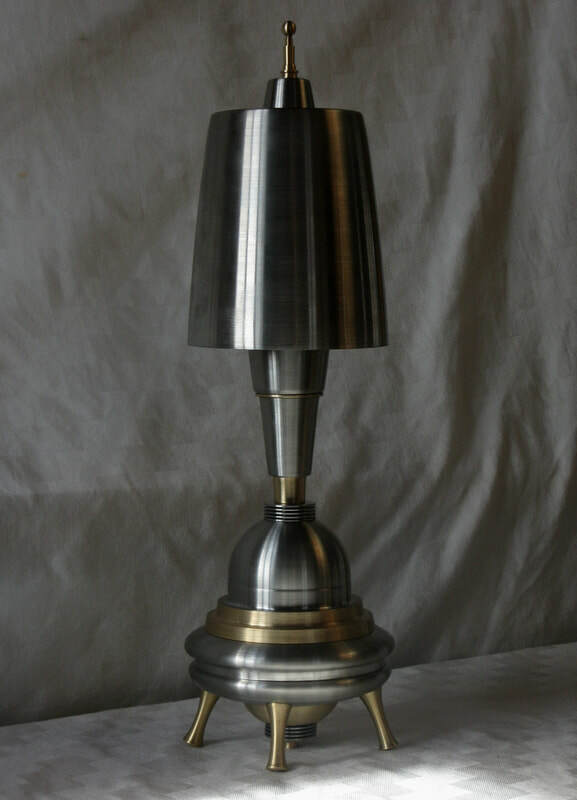 Below is a small sample of Machine Age/Modernist style lamps I have built from upcycled industrial nutrients. The materials come from a wide spectrum of sources, including the scientific, aerospace, medical, dairy and restaurant industry. 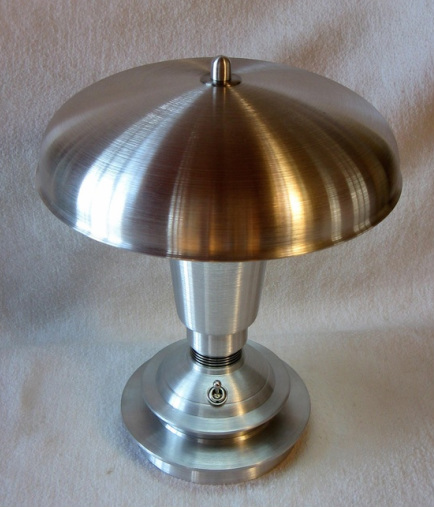 as well as items found at thrift stores, junk yards, side of the road etc. I'm an equal opportunity upcycler and will use anything I find of a very high quality that society has just cast aside. I re-manufacture all parts by machining, resurfacing, hammering out dents and manipulating their form to fit my needs. 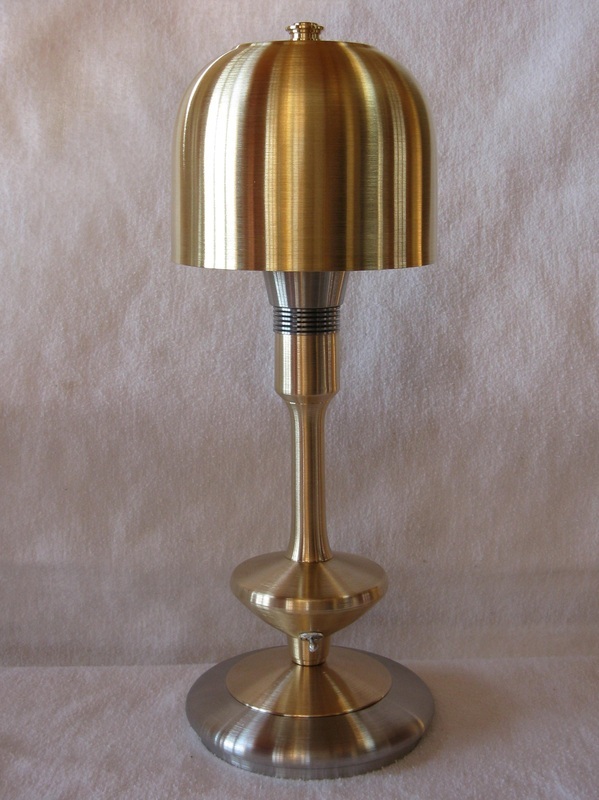 I work almost exclusively in stainless steel, brass, copper, aluminum and wood. I don't coat any of my metals and I am a firm believer in time patina. 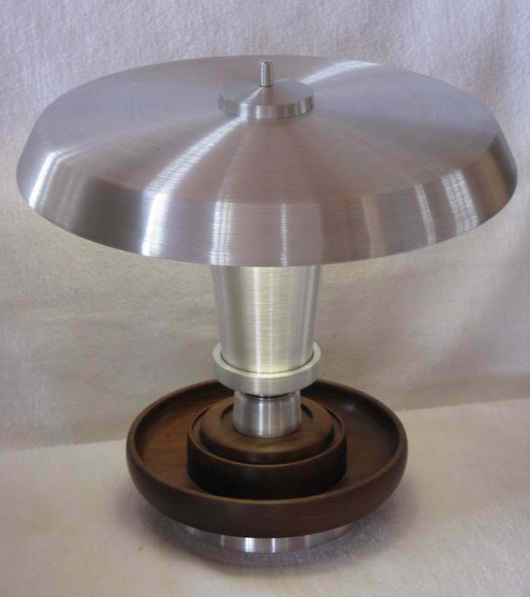 When photographed my lamps are fresh off the mill and will darken and become richer as time passes. 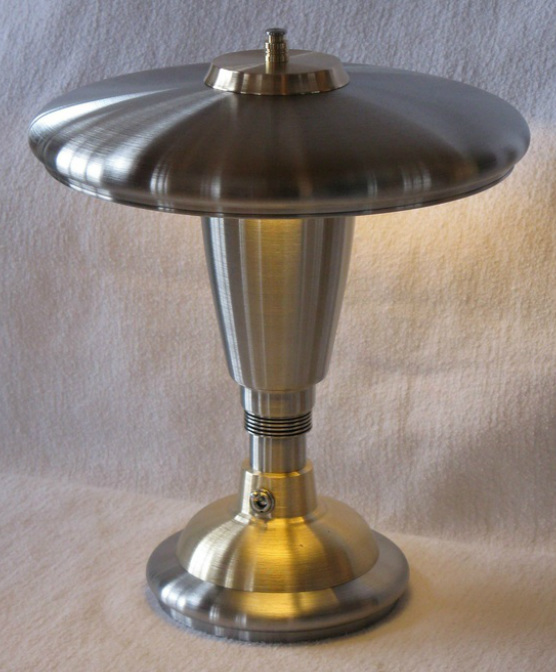 I purposely avoid any lamp parts and there is truly no reason to use them when there is such an incredibly vast amount of things that people throw out, give away to charities, or send off to the scrap heap. I only use new sockets, bulbs, cords, and toggle switches, but that’s it for lamp parts. 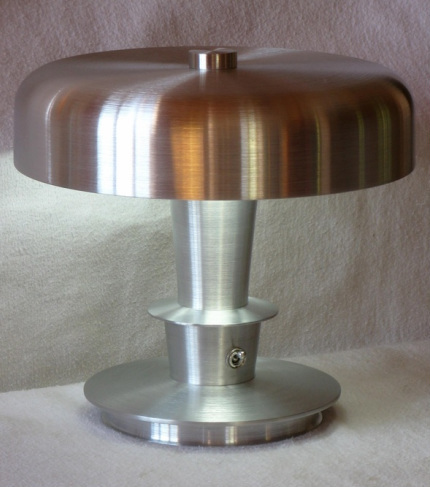 The upcycled materials I use are of a much higher quality than that of a manufactured lamp and they don't have that feel to them as if you could just toss it to the land fill If scratched, dented or in need of a rewiring. They can be machined or resurfaced to perfection, again and again.